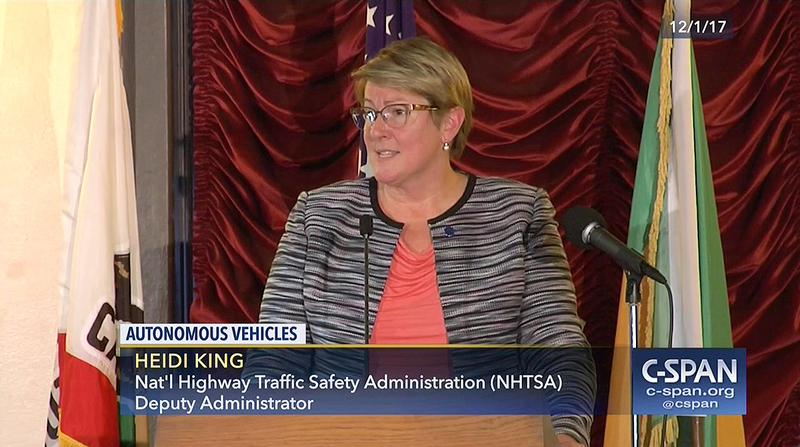 The Commerce Committee on June 27 approved by a slim margin the nomination of Heidi King to lead the National Highway Traffic Safety Administration, setting up consideration on the Senate floor. The committee backed King’s nomination 14-13. Massachusetts Democrat Sen. Ed Markey opposed King’s nomination over her views on fuel economy emissions standards. “Regrettably, I am very concerned that if confirmed … as the administrator of the National Highway Safety Administration, Ms. King would not only fail to put the brakes on this administration’s rollback of these critical standards, but will hit the gas,” Markey said. King is the agency’s deputy administrator and has served in a leading role for more than a year while the top post remains vacant. During the 112th Congress, she was chief economist for the House Committee on Energy and Commerce. She also was a regulatory policy analyst in the White House’s Office of Management and Budget from 1998 to 2000 and again from 2007 to 2011.